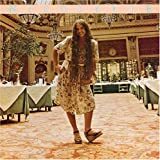 Nicolette Larson (July 17, 1952 – December 16, 1997) was an American pop singer. 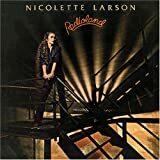 She is perhaps best known for her work in the late 1970s with Neil Young and her 1978 hit single of Neil Young's "Lotta Love," which hit No. 1 on the Hot Adult Contemporary Tracks chart and No. 8 on the Pop Singles chart. It was followed by four more adult contemporary hits, two of which were also minor pop hits. By 1985, she shifted her focus to country music, charting six times on the US Country Singles chart. Her only top-40 country hit was "That's How You Know When Love's Right", a duet with Steve Wariner. She died in 1997 of cerebral edema and liver failure.